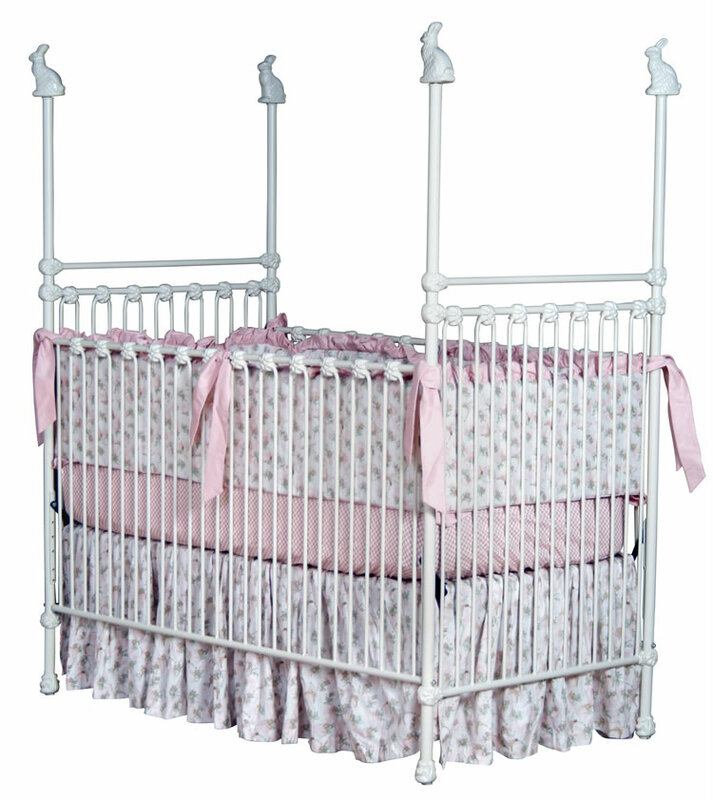 Full Description White 4 Poster Crib with Tall Bunny Finials - This white 4 poster bunny crib is handcrafted by the talented craftsmen at Corsican Iron Furniture. Corsican's quality and attention to detail are legendary. With over 40 years of experience, they've earned a reputation as the best craftsmen for iron cribs. 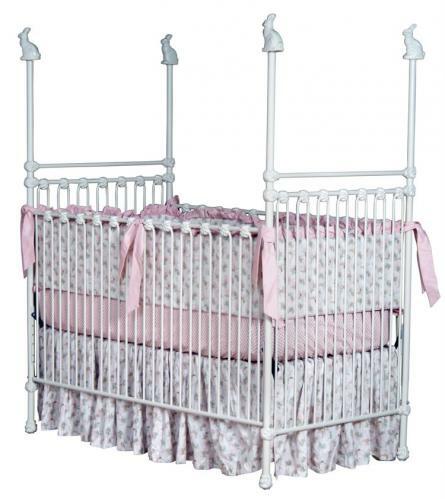 Like all Corsican Iron Cribs, this white 4 poster bunny crib is available in many finishes. All colors are mixed upon order, and finishes are hand-applied giving every crib a unique look.Additionally, finishes may look different in photographs and on different computer monitors. Samples are available upon request.